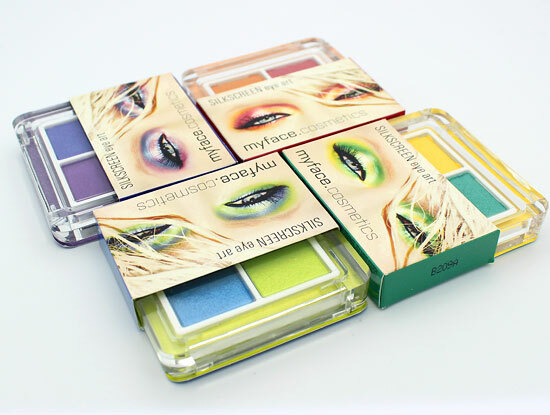 The latest SilkScreen Eye Art Collection from British makeup line myface cosmetics brings us four new eyeshadow duos in eye-popping shades that are perfect for the summer. 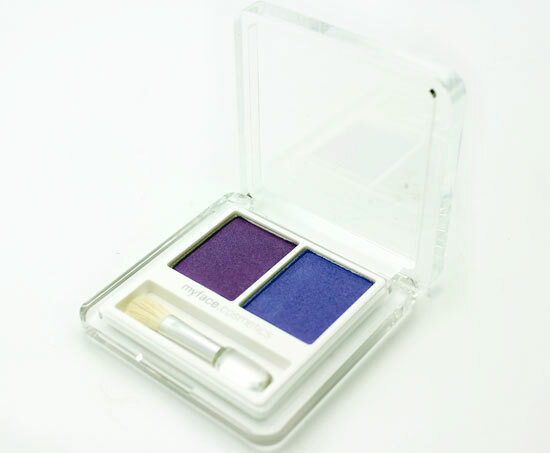 Sitting in a cardboard sleeve that shows a model wearing the product, the duos come in a sturdy clear compact with a mini brush applicator. 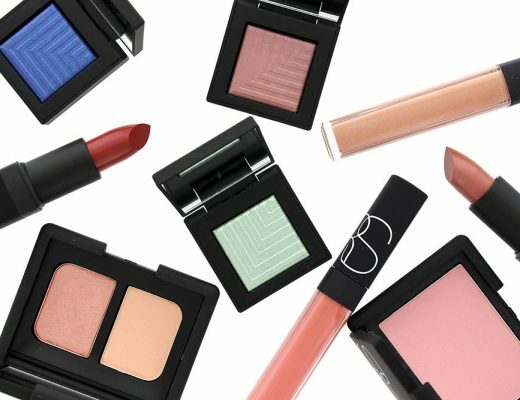 You can wear each shade on its own or layer over one another to create another color. 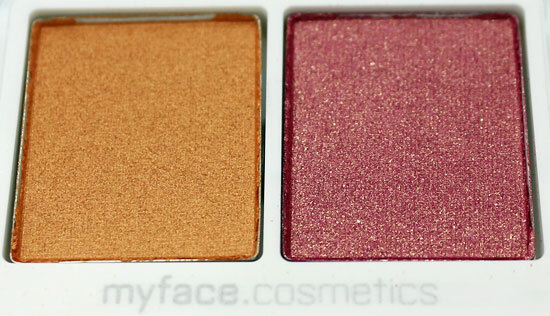 Siren is a shimmery orange and raspberry with flecks of gold. Fame is a shimmery yellow with shimmery evergreen. Pop Culture is a bright acid green with sky blue, both with silver shimmer. 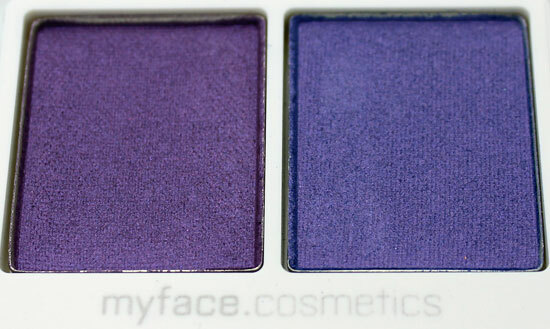 Eye-conic is a frosty purple with frosty deep periwinkle. 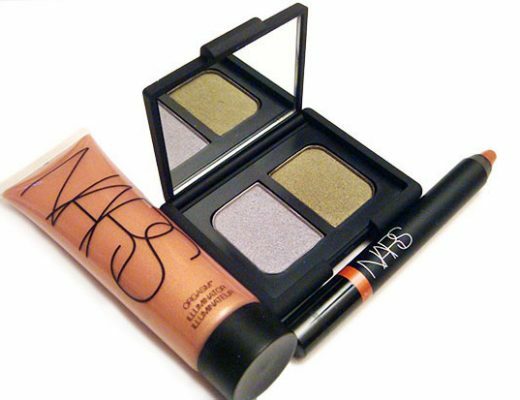 It is the least pigmented out of the four. 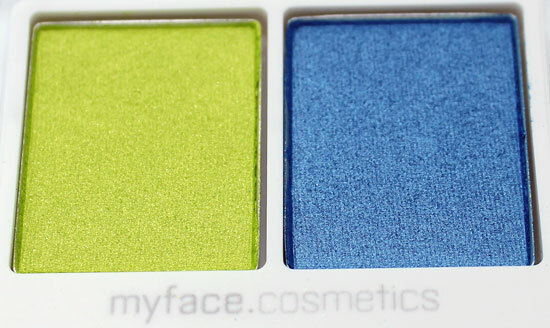 Like the Blingtones from myface cosmetics, these applied smoothly with great color payoff and zero shimmer fallout. 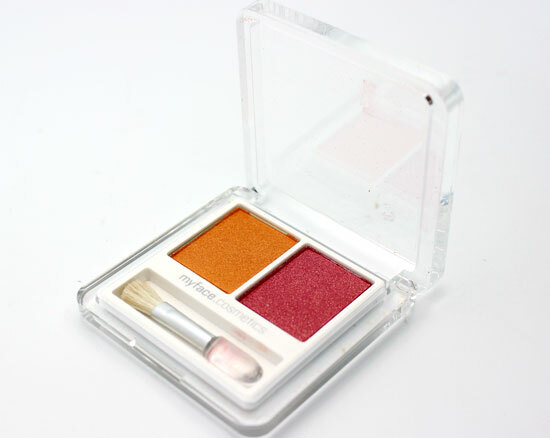 The applicator was not the greatest and gave a semi-sheer application, but if you use a dense eyeshadow brush like Crown C415 Deluxe Sable Shader to apply, you can really build the color and make it pop. The wear was also phenomenal. With a primer underneath, I was able to get a good 10 hours of vibrant color without creasing or fading. 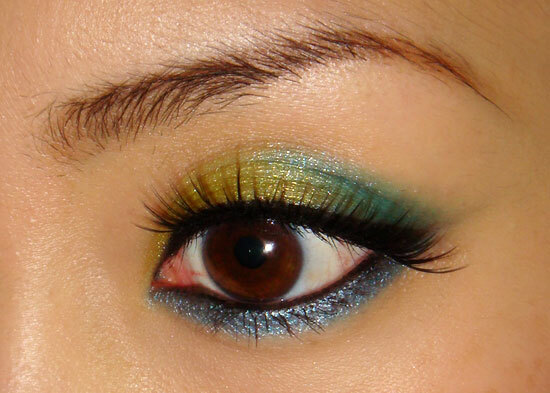 Here I am wearing Pop Culture – the left shade on the entire lid, the right shade on the outer corner blended onto the crease and on the lower lid. Other products featured include Make Up For Ever HD Invisible Cover Foundation in #127, Senna Form-A-Brow Eyebrow Stencil Kit in Neutral, MAC Fluidline in Blacktrack, Jealousness Diamond Beauty Fake Lashes in JS-507 Captivating Cat Eye, Estee Lauder Sumptuous Two Tone Eye-Opening Mascara in Bold Brown/Rich Black and MAC Out For Fun Casual Colour. Once again, myface cosmetics did not disappoint. 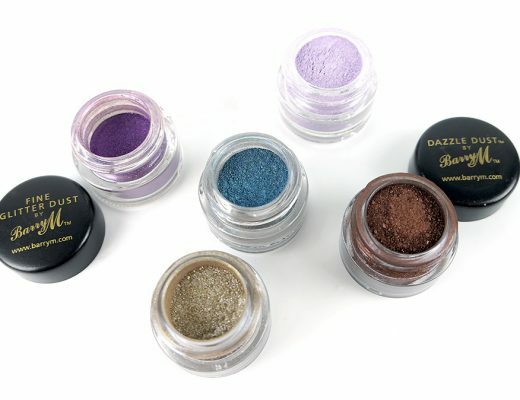 If you are looking for bright, long-wearing eyeshadows to help you make a statement, you NEED these! 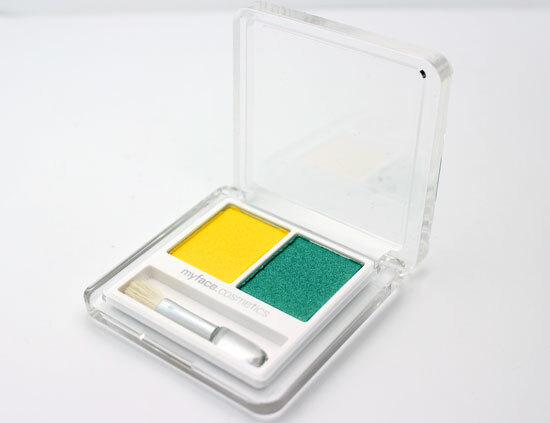 myface cosmetics SilkScreen Eye Art Eyeshadow Duos are available at myfacecosmetics.com for $22 each. 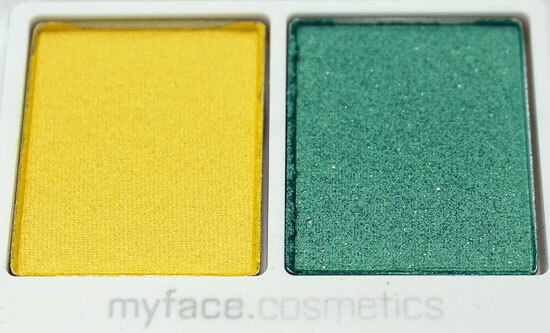 If myface cosmetics were to adhere to Pop Art principles stricly, it should be matte neon colours instead of shimmer. Nice ftod though.